The Russian scare. It was talked about more at this year's NHL Entry Draft than any before it. There were a miriad of high end Russian players available with inarguable first round talent, but many teams passed them over, or at least, bumped them down on their boards due to uncertainty regarding thier availability or desire to play in North America. Maxim Afinogenov turns down contract offer from Thrashers; word is he's leaning toward going to the KHL. 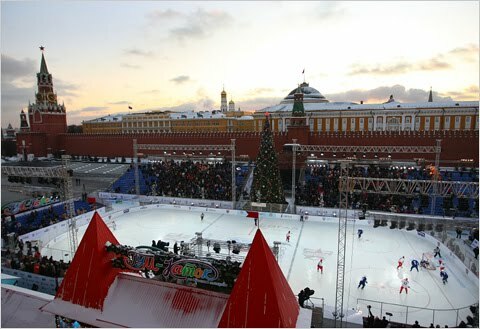 Despite growing financial troubles, and a competition level that is recognized as inferior to that of the NHL, the Russian based KHL is a very real threat to the NHL in luring many European players, particularly Russians because of their willingness to grossly overpay for their services. Consider Afinogenov's situation. He basically bombed in Buffalo, and only landed his gig with Atlanta last season via a training camp tryout. 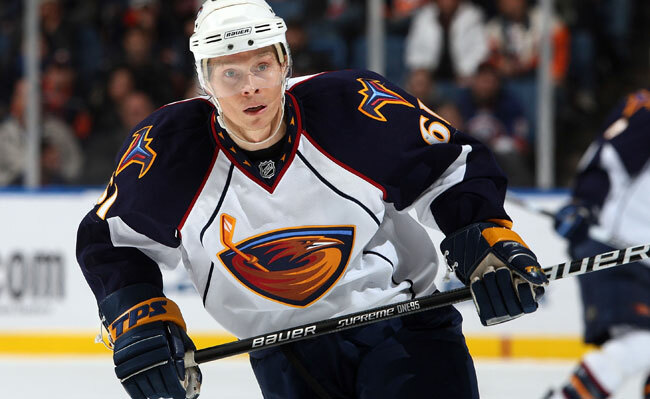 The Thrashers offered him a one-year, bargain rate, no risk deal and he responded with maybe his best season to date. Afinogenov becomes a UFA on July 1, and he should be set to strike a big money deal, right? Well, maybe not so fast. A NHL club would look at his history with the Sabres and factor that in negotiations. Conversely, in the KHL, he will be viewed as an opportunity to bring "home" a well known name, and Afinogenov will be offered what will easily amount to 3x what he would make staying in North America...if not more... AND it's all tax free. It would be tough to find fault in his reasoning, if Afinogenov were to chose to bolt for the money, no? It is equally difficult to find fault in the reasoning of any GM who is hesitant to select Stanislav Galiev over Quinten Howden, as playing for Avtomobilist Yekaterinburg may not have the same appeal to the Oak Bank, Manitoba native... even if it is for a zillion tax-free rubels. If the Russian can do it better than our own players, I think that they should be given the chance to play here.